Order in 12 Hours 50 minutes 11 seconds for dispatch today! Covering topics from strategies for safely descending a rapid, to making safe and recovering an injured person. Essential knowledge for every recreational paddler and professional river guide. 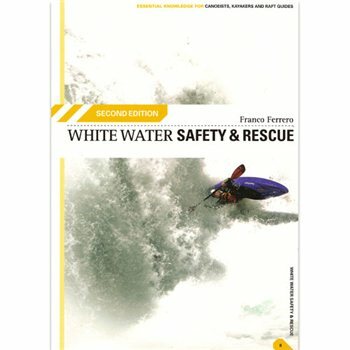 The second edition includes extended sections on safety for the white water rafter, revised and simplified river signals, over 400 new full colour illustrative photographs. With additional contributions from Loel Collins, Ray Goodwin, Dave Luke and Geraint Rowlands.